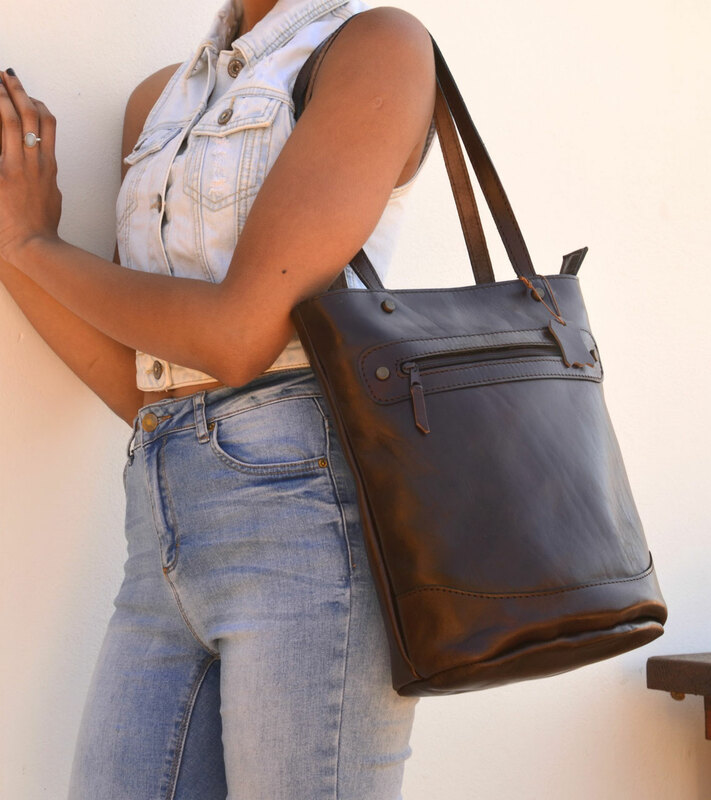 ANANIAS large tote bag made from 100% full grain leather, handmade in Greece in brown, natural or nu-buck. 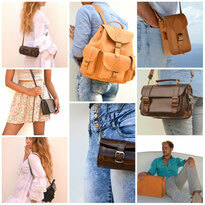 The bag has one large compartment which measures 30 cm x 25 cm x 15 cm (11.8" x 9.8" x 5.9") with a zipper closure. 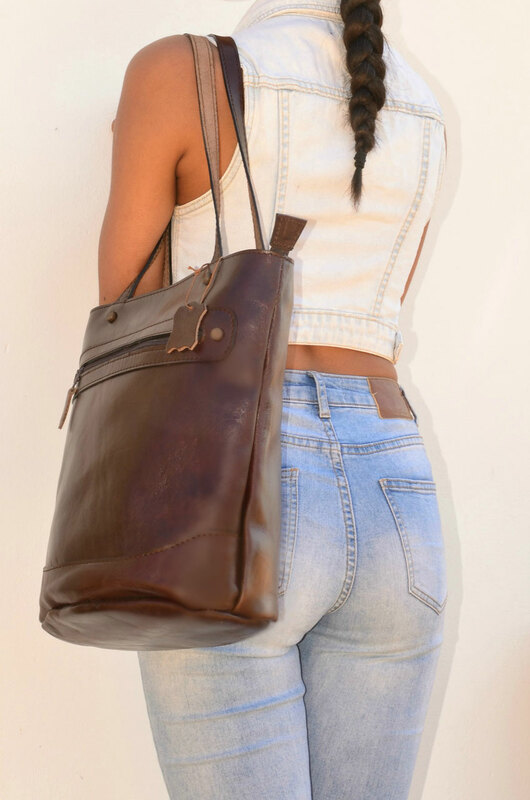 Two handle straps large enough to throw over your shoulder. 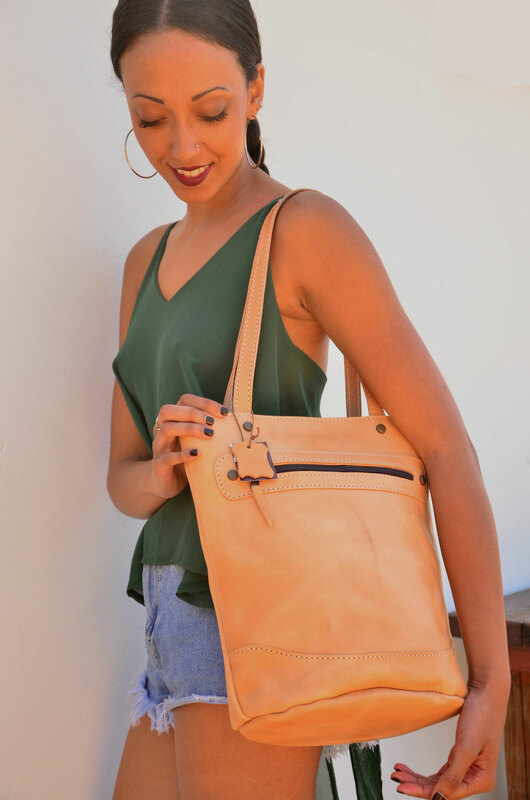 The natural leather is originally a light tan and will change with exposure to sunlight to a golden tan. 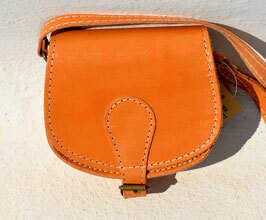 Just leaving the bag in the sun for one or two days will show a ‘significant ‘tanning’. 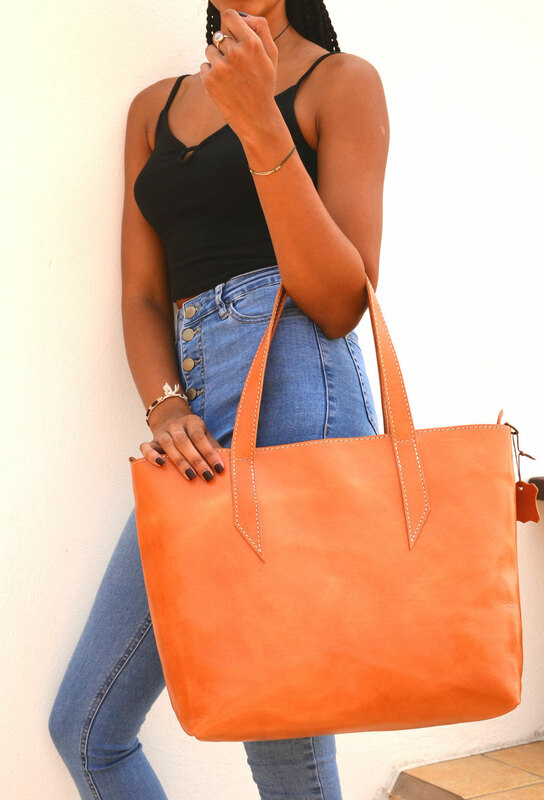 A beautiful bag that will last a life time. 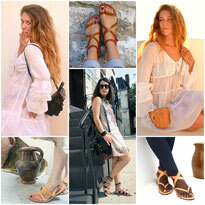 Made in Greece on the island of Crete. 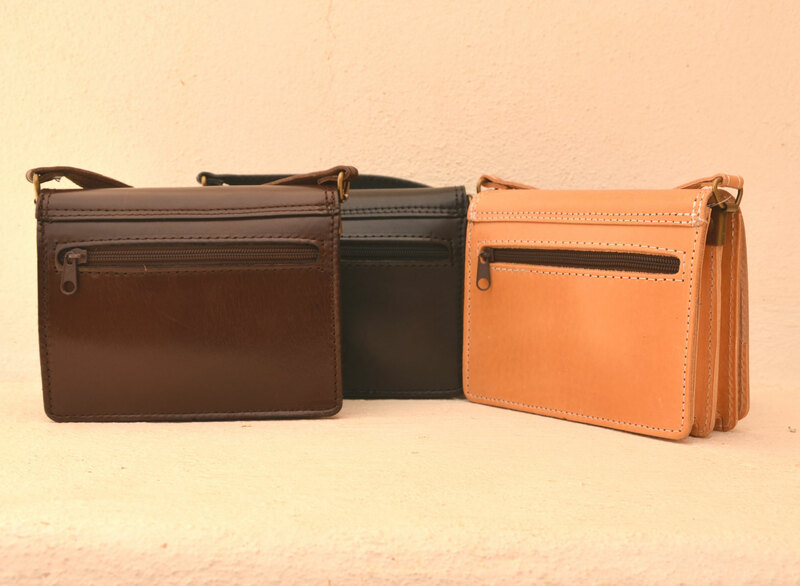 ANANIAS natural leather purse in brown, black or natural, handmade in Greece. 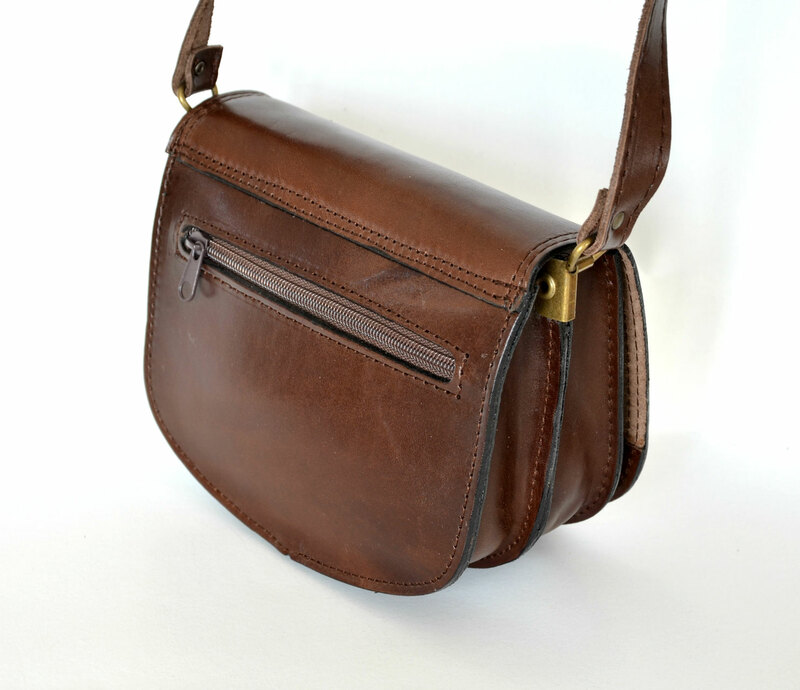 A classic, very practical, unique and stylish bag, 100% genuine leather. 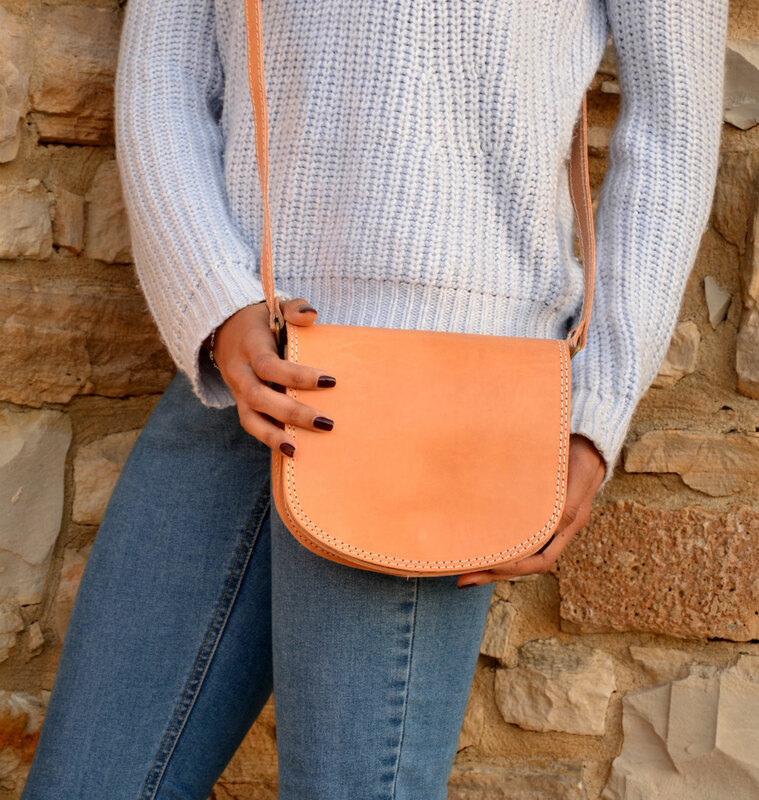 The bag has two compartments which measure 16.5 cm x 11 cm x 2 cm (6.5" x 4.30" x 0.8") and a middle compartment with a zipper closure and a zipper compartment in the back. 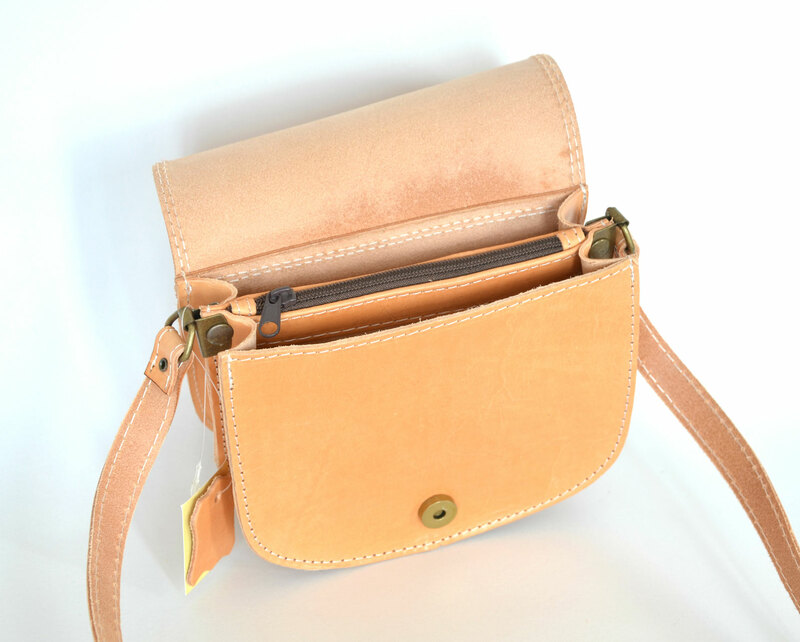 Very long, adjustable shoulder strap. 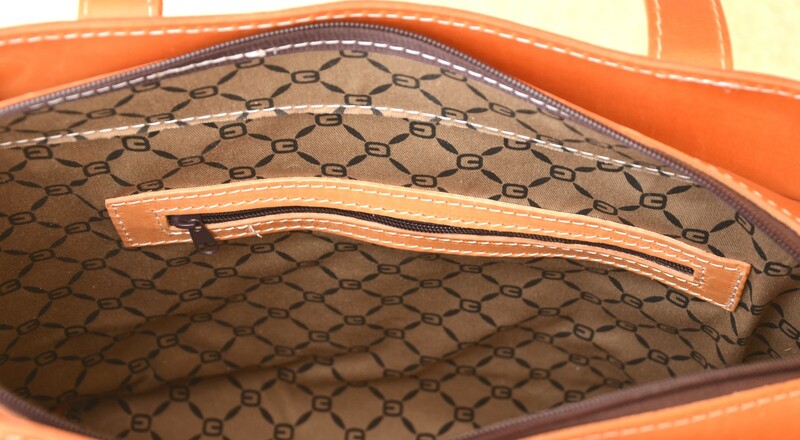 The front leather flap has a strong magnetic closure button. 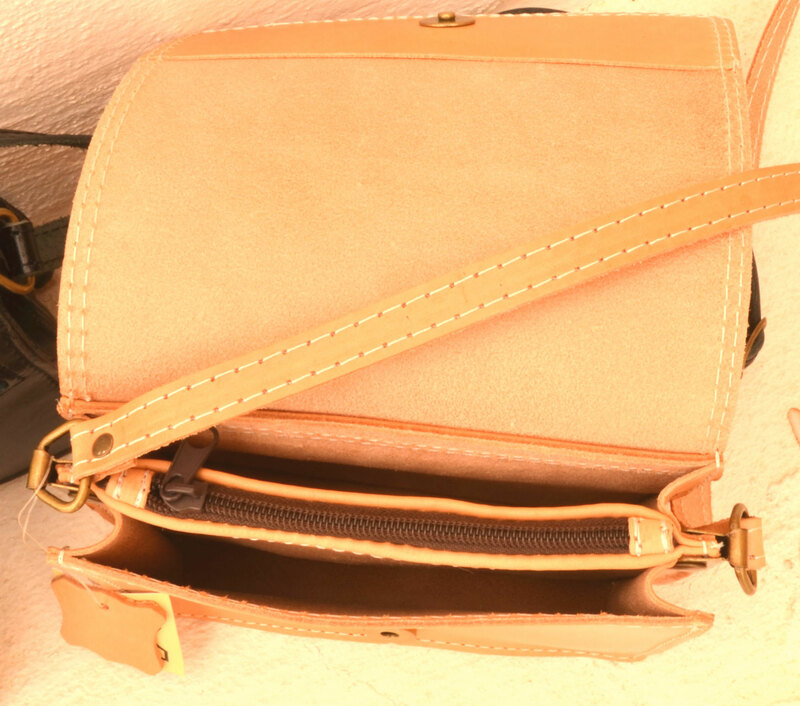 Outside dimensions: 18 cm x 13 cm x 5.5 cm (7.08" x 5,10" x 2.16"). 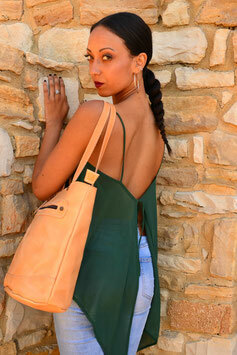 Overall a beautiful bag that will last a life time. 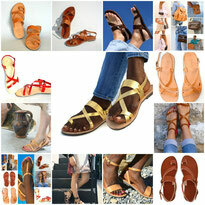 Made in Greece on the island of Crete. 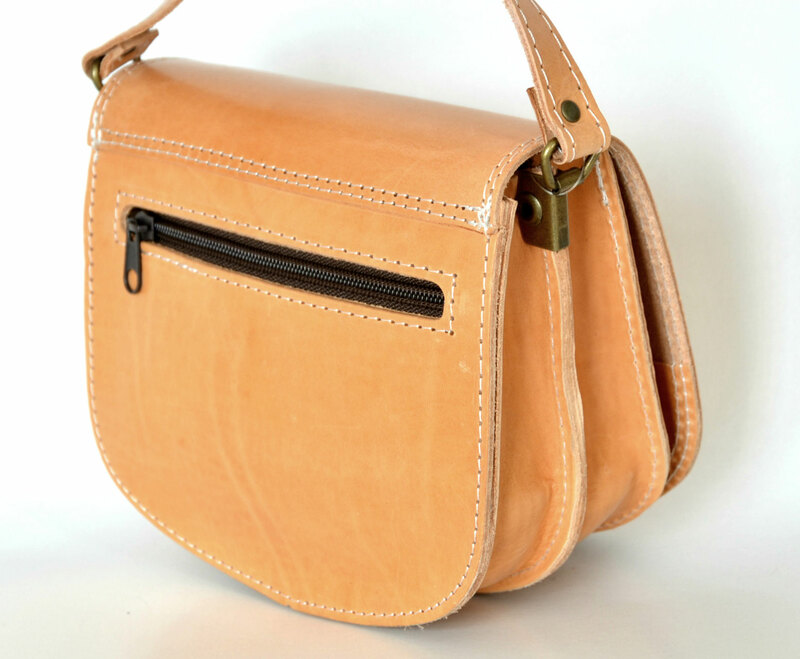 The natural leather is originally a light tan and will change with exposure to sunlight to a golden tan brown. 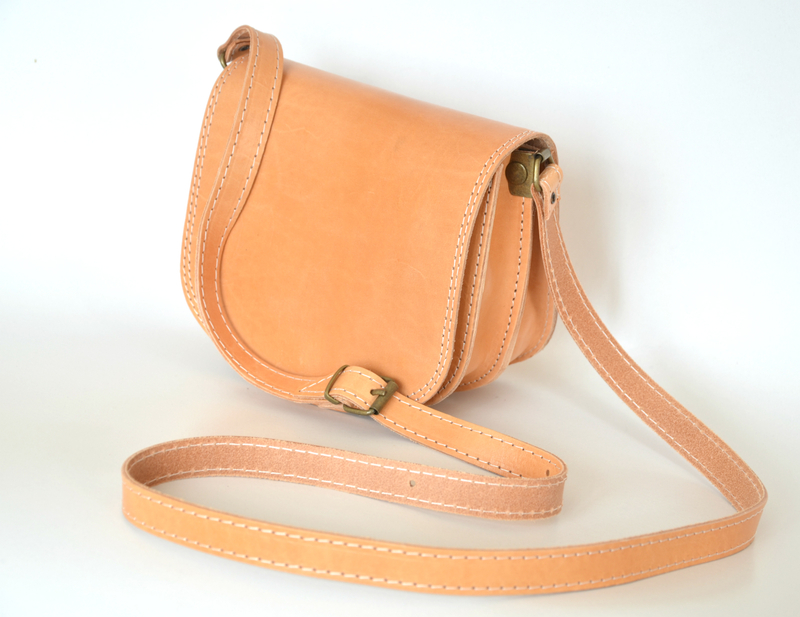 Just leaving the bag in the sun for one or two days will show a ‘significant ‘tanning’. 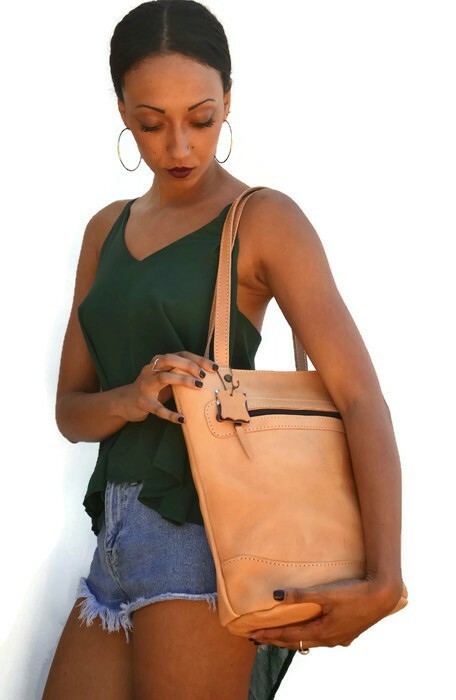 ANANIAS large leather tote bag made from vegetable tanned, 100% full grain leather, handmade in Greece in brown or natural. 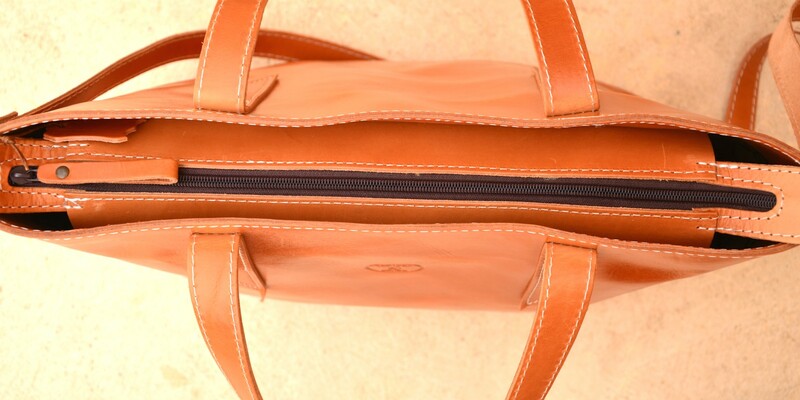 The bag has one large compartment which measures 42 cm x 32 cm x 13 cm (16.5" x 13" x 5.2") with a zipper closure. You can go hands-free with the detachable and adjustable shoulder strap or throw it over your shoulder with two handle straps. 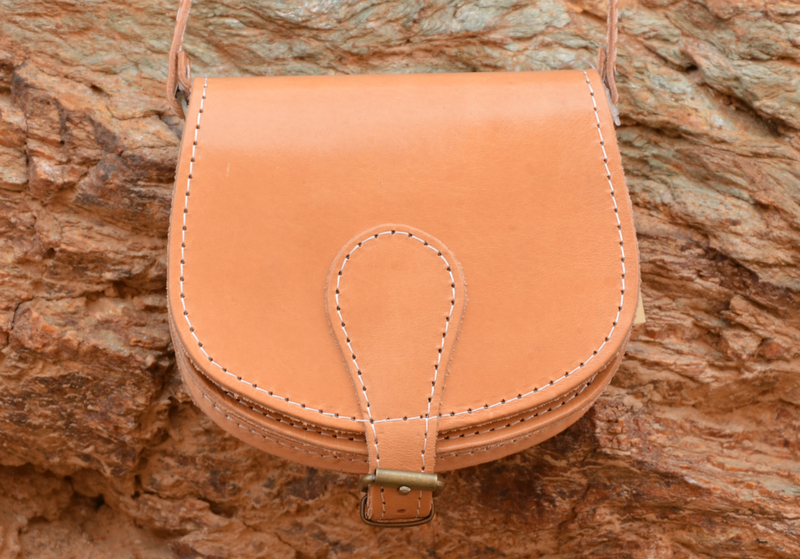 The bag is available for immediate shipping in natural. 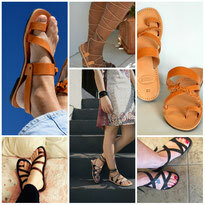 In brown it will take 2-3 weeks to make for you. 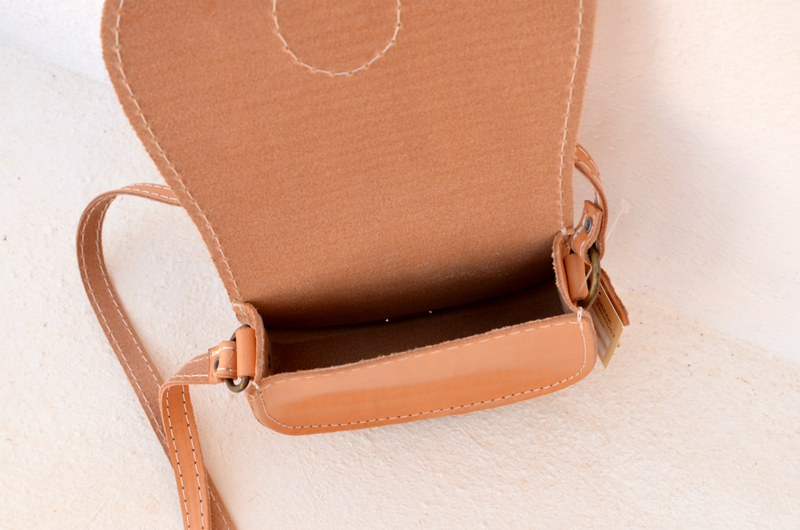 The natural leather is originally a light tan and will change with exposure to sunlight to a golden tan. 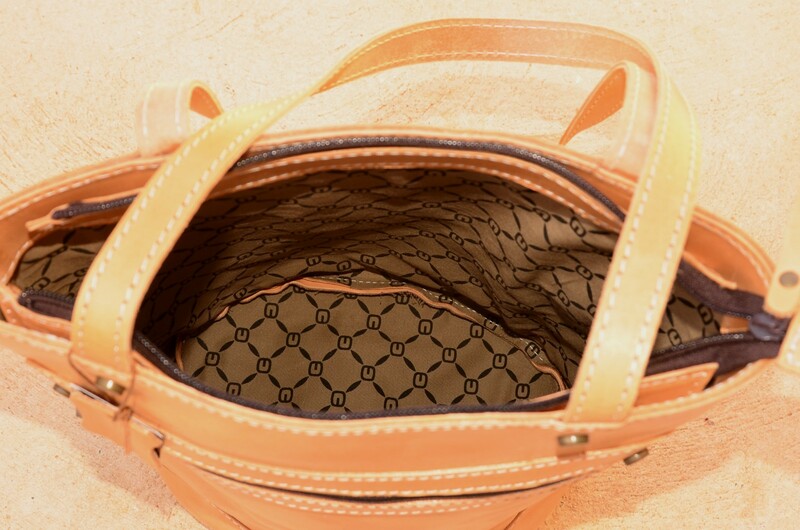 Just leaving the bag in the sun for one or two days will show a ‘significant ‘tanning’. 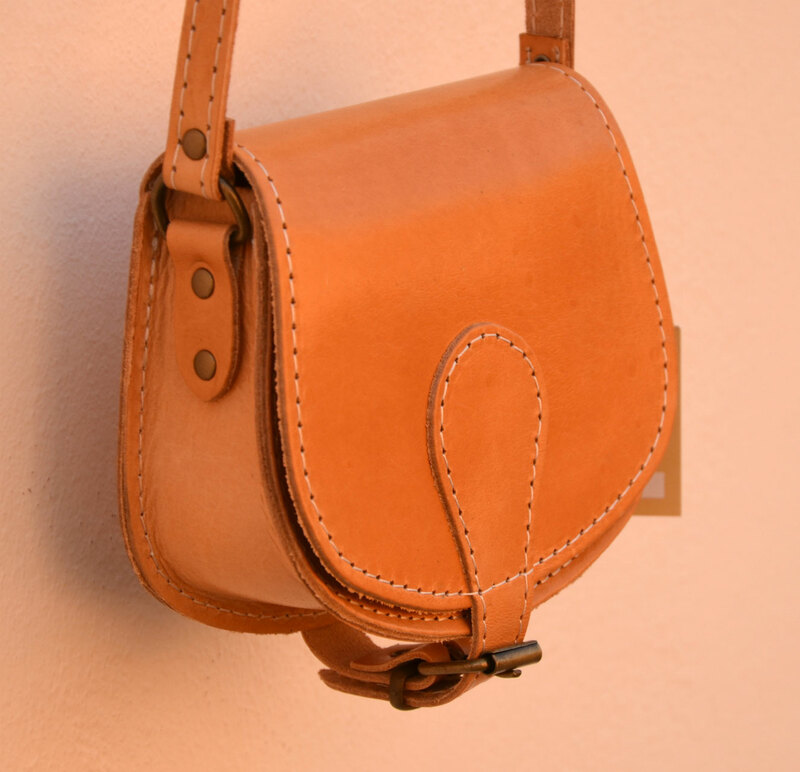 The natural bag in the picture was originally a lighter color and obtained the color as pictured after being exposed to sunlight for just one day. 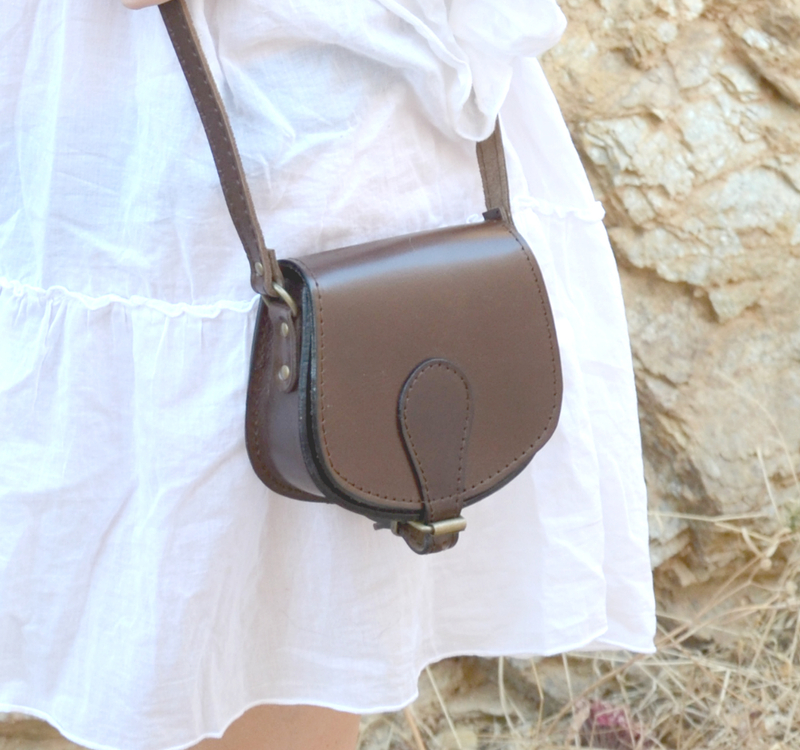 ANANIAS natural leather purse, handmade in Greece. 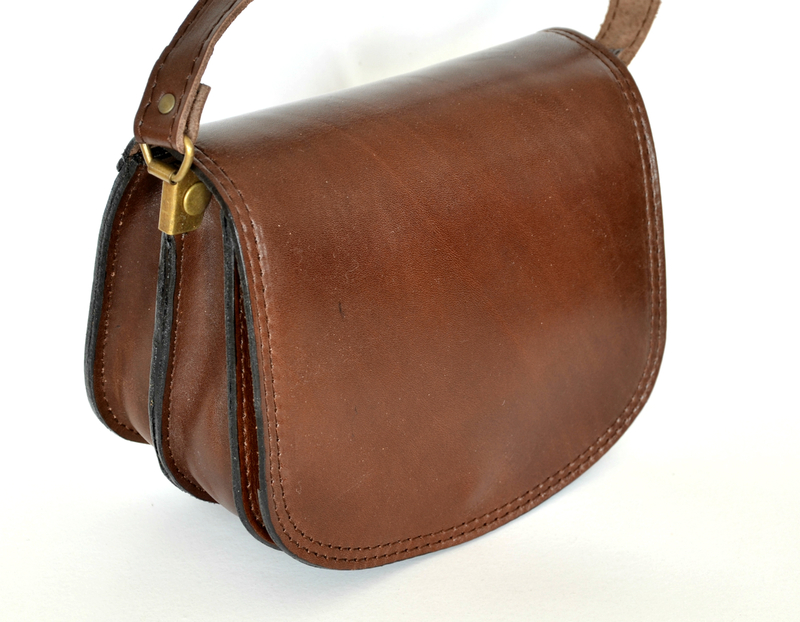 A classic, very practical, unique and stylish bag, 100% genuine leather. 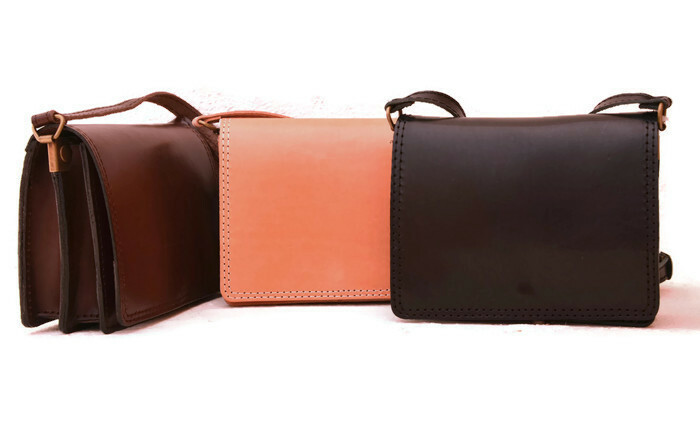 The bag has two compartments which measure 17 cm x 14 cm x 3.5 cm (6.7" x 5.5" x 1.4") and a middle compartment with a zipper closure and a zipper compartment in the back. 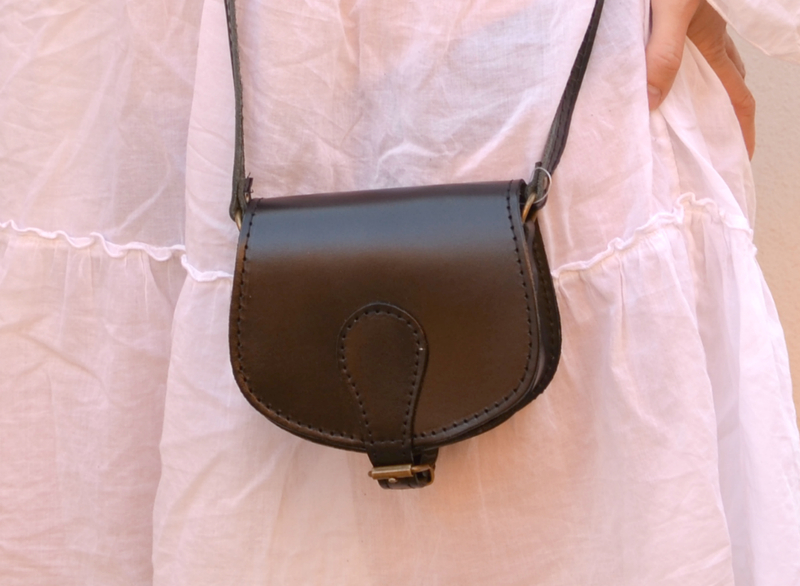 Very long, adjustable shoulder strap. 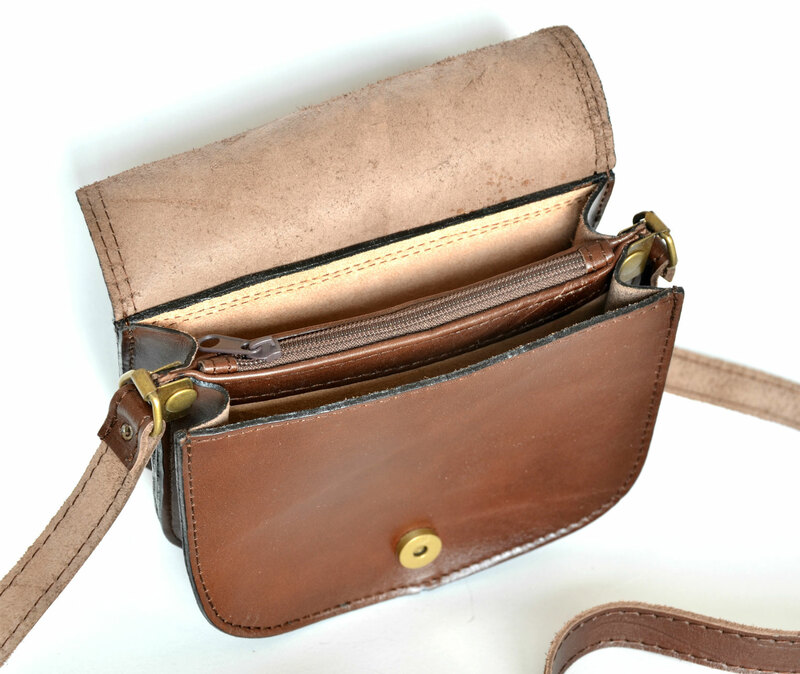 The front leather flap has a strong magnetic closure button. Outside dimensions: 19 cm x 17 cm x 8 cm (7.5" x 6.7" x 3.15"). 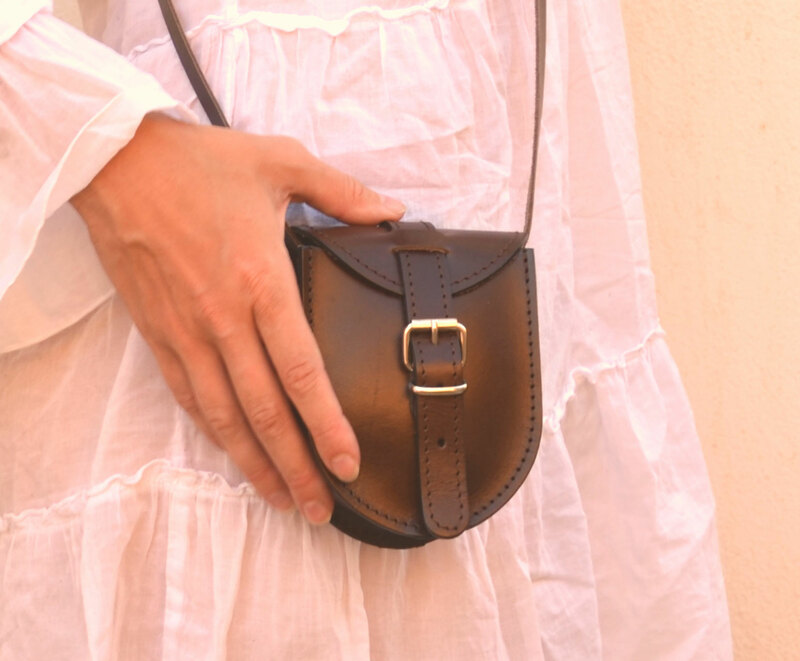 ANANIAS small leather purse in brown, natural or black, handmade in Greece. 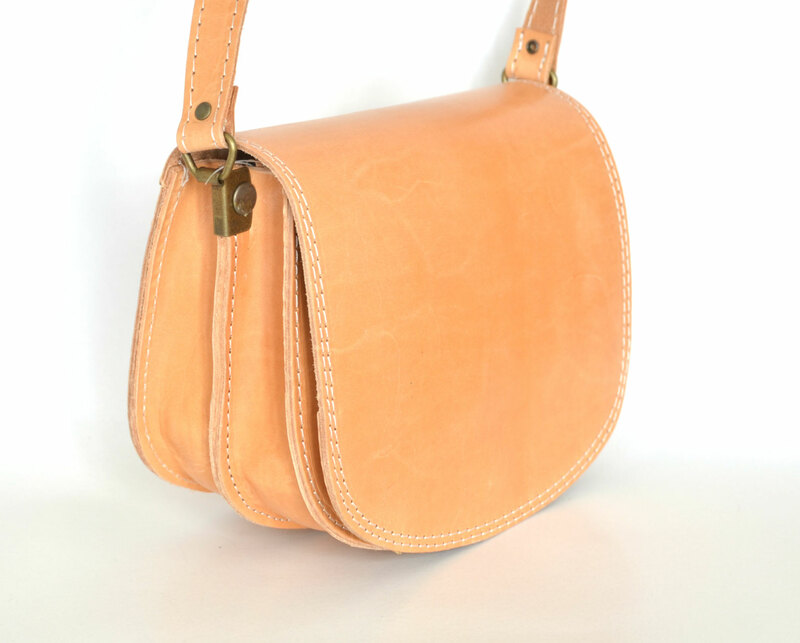 A classic, very practical, unique and stylish bag, 100% genuine leather. 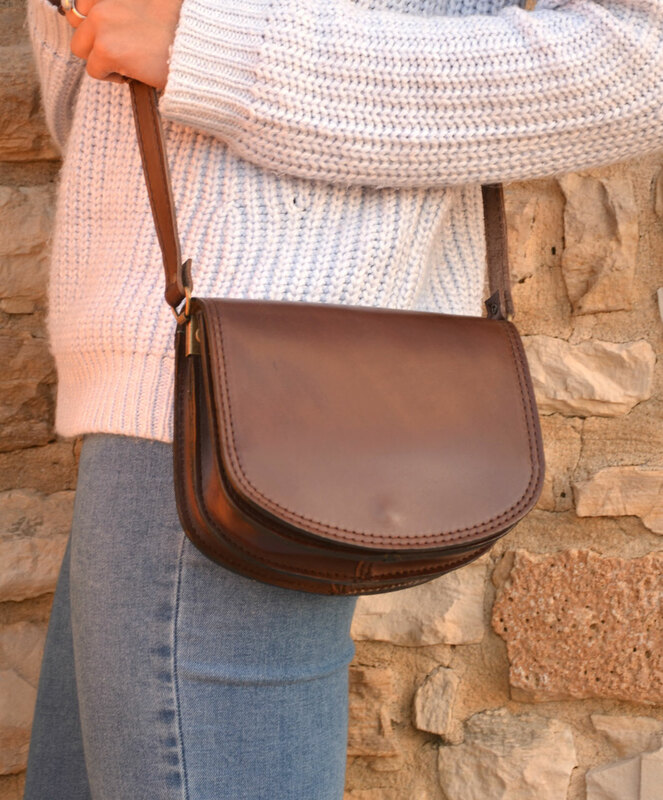 The bag has one compartment which measures 11 cm x 10 cm x 4 cm (4,3" x 3,9" x 1.5") with a flap with buckle and a very long, adjustable shoulder strap. 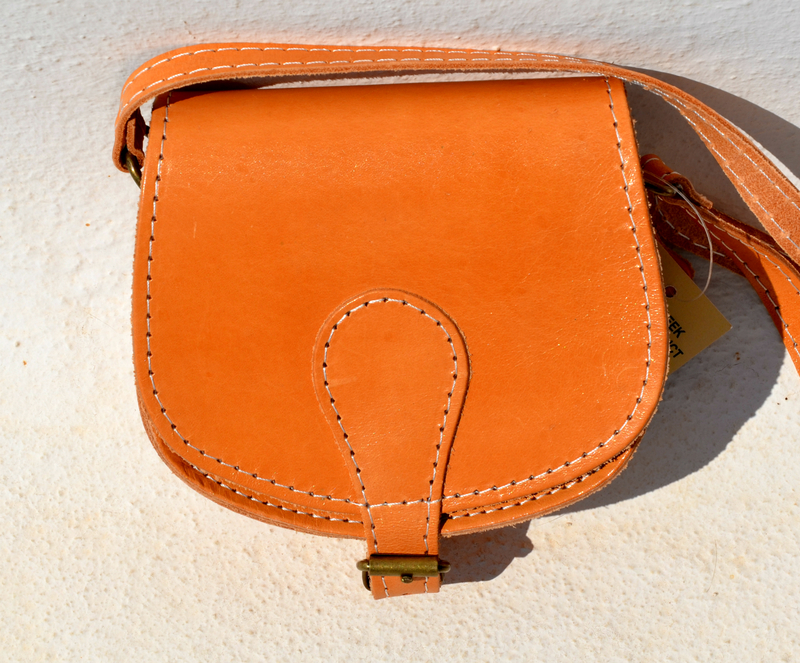 Outside dimensions: 13 cm x 14 cm x 5 cm (5,1" x 5,5" x 2"). 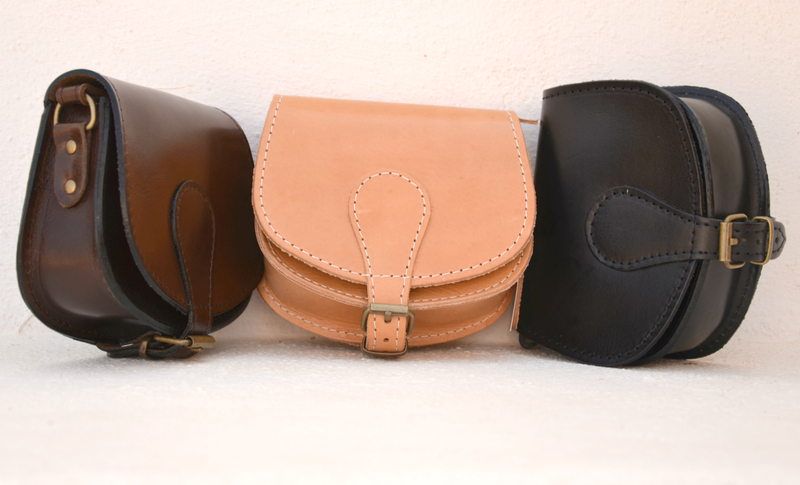 ANANIAS small natural leather purse in brown, black or natural, handmade in Greece. 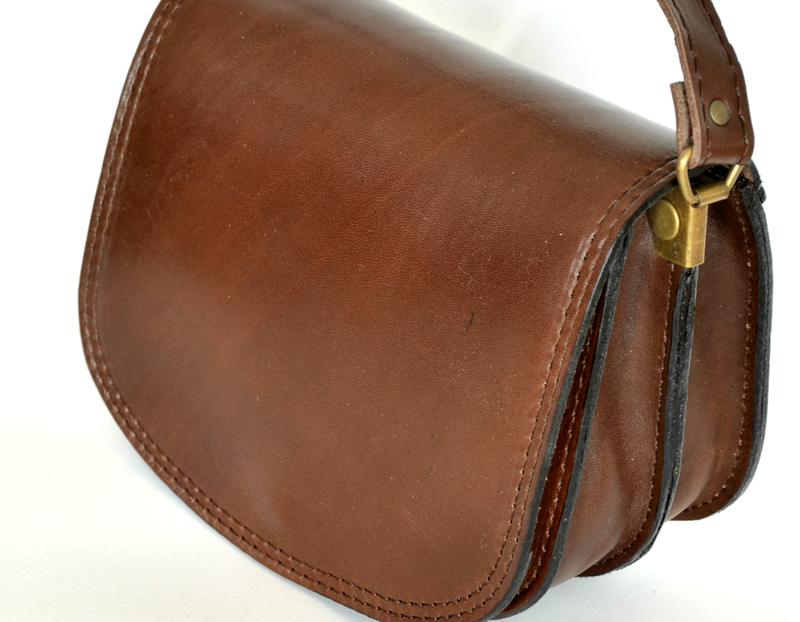 A classic, very practical, unique and stylish bag, 100% genuine leather. 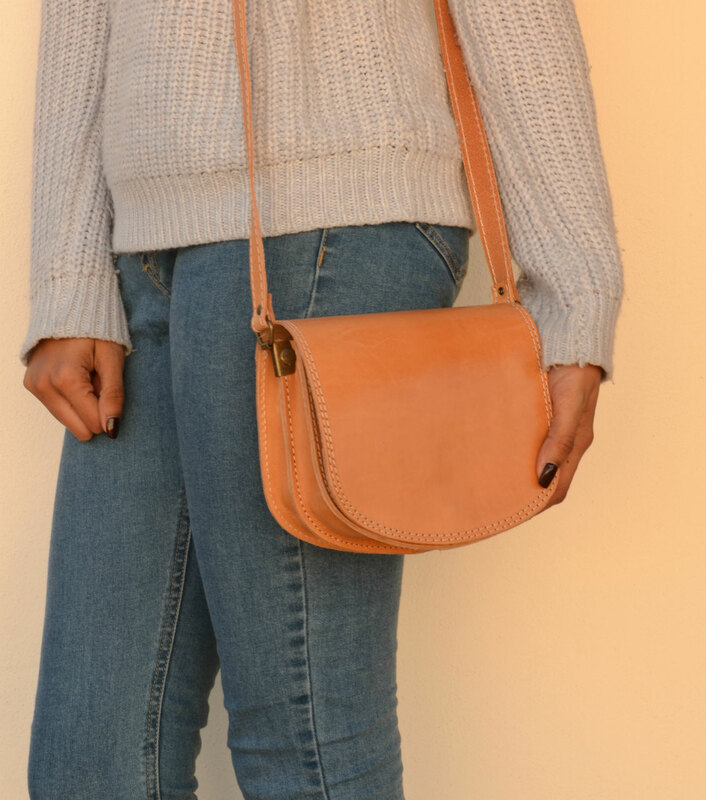 The bag has one compartment which measures 11 cm x 9 cm x 4 cm (4,3" x 3,5" x 1.5") with a flap with buckle and a very long, adjustable shoulder strap. 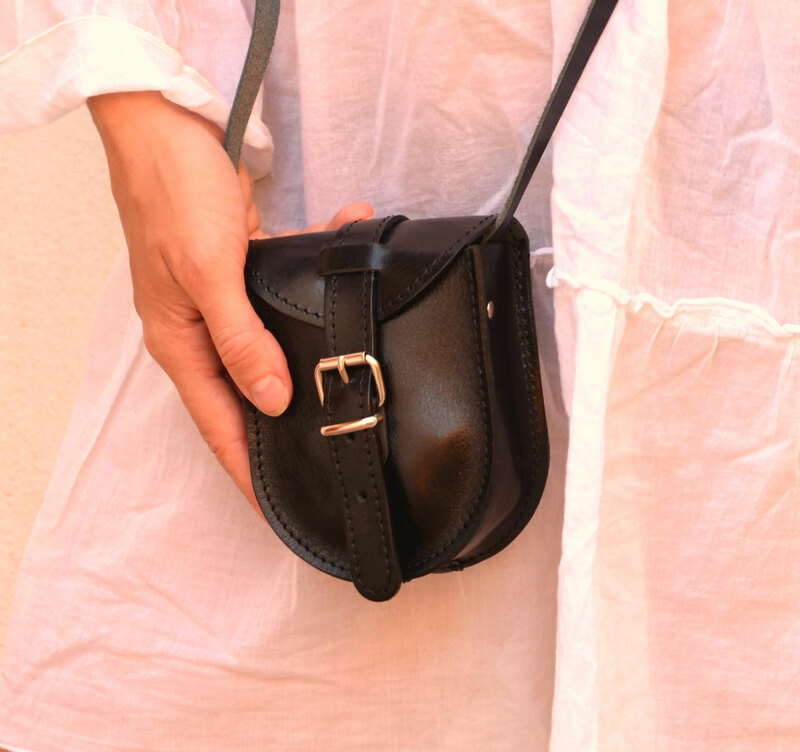 A very cute little bag to carry the small items when going out. 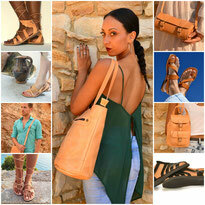 Made in Greece on the island of Crete.